Last weekend Microsoft unveiled some training kits, and a discussion has already begun in the groovy forum on the new SharePoint Dev Training Kit. The even bigger news, however, is the Office 2010 Dev Training Kit. While it may not seem as glamorous as being an “Appstore,” it certainly is an excellent package for anyone to pick up and start playing with Office 2010 Dev. It’s a nice kit to get you started. 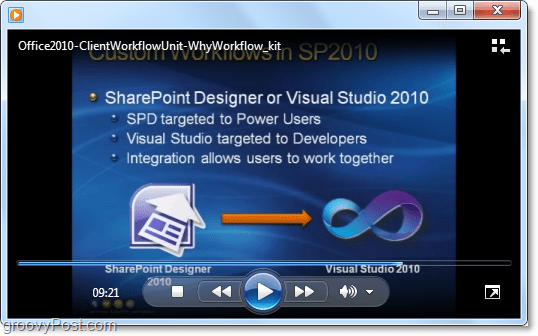 Channel 9 on MSDN offers some instructor-led video training courses directed toward SharePoint and Office development. Microsoft has picked up pace. With all of the competition from Google Docs and other open source and free competitors, they are giving out more incentives than ever to stick with Office. The Office 2010 Developer Training Kit includes a huge set of technical content and many of the training videos from the Channel9 site. The labs are hands-on so you can learn as you work, and the total package isn’t too big – only 91.1 MB. This kit is a good place to start if you want to start making add-ins or developing Office Business Applications for your organization. This kind of training kit is very much beneficial specially for students to learn something latest or innovative about the Microsoft office 2010. i really very excited about this kind of training kit.